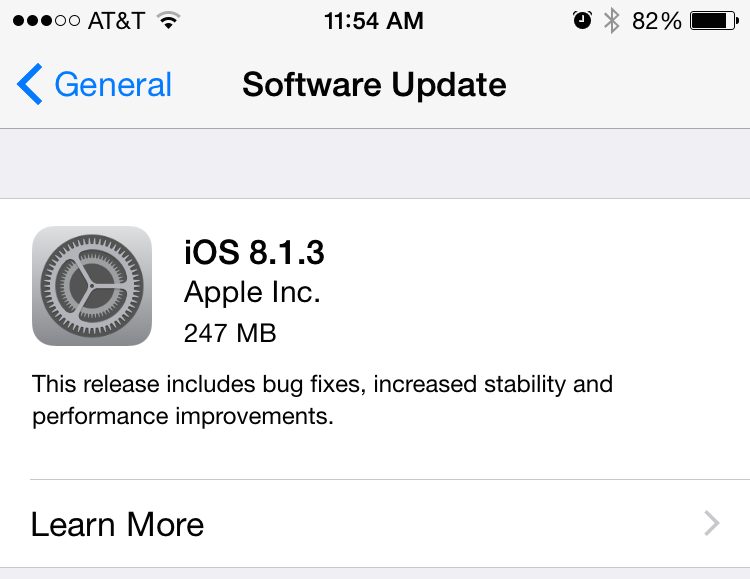 Apple just released its latest iOS 8.1.3 update yesterday. While it debugged many little bugs found earlier, several users have found that the latest update can not be jailbroken either. If for any reason you wish to downgrade iOS 8.1.2, here are the steps and direct download links to save you out. So if you’d rather prefer your device jailbroken, then downgrading to iOS 8.1.2 is the only option you have until we see jailbreaking tools become available for Apple’s latest software update. Before beginning the process however, make sure you have updated your device to the latest iTunes. Download appropriate iOS firmware file for your device and follow the steps highlighted below. Connect your Apple device to your PC and wait for iTunes to open and connect to your device. Click on the device button in iTunes and hold down the Alt / option key (Mac) or shift key (Windows) and click Check for Update button in the Summary pane. From the download links shared below, download the appropriate file. Locate the same .ipsw file downloaded from links and select it. create a backup, and then put your device into DFU (Direct Firmware Update) mode. DFU will help you install whichever OS you want to. Here’s a list of relevant iOS 8.1.2 firmwares for your iOS device. Important: Apple doesn’t support downgrading to older firmware builds. This method will only work until Apple signs the iOS 8.1.1 firmware, which will likely happen very soon.